Thank you to a-n – The Artist Information Company – for the Travel Bursary that has helped get this project off the ground. 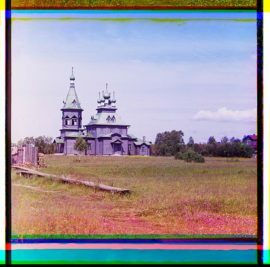 With their support, I was able to begin my travels to western Russia with a three-colour apparatus to revisit some of the sites of Prokudin-Gorskii’s late-imperial imagery. Shards of Colour: James Clerk Maxwell and Prokudin-Gorskii in the Twenty-First Century is an on-going project. The work here is exploratory and coincides, not unintentionally, with the centenary of the Russian Revolution. The project retraces the steps from the laboratories of 19th century Scotland to the peasant ‘steppes’ of rural Russia, and begins a new documentation of contemporary Russian life, 100 years on. 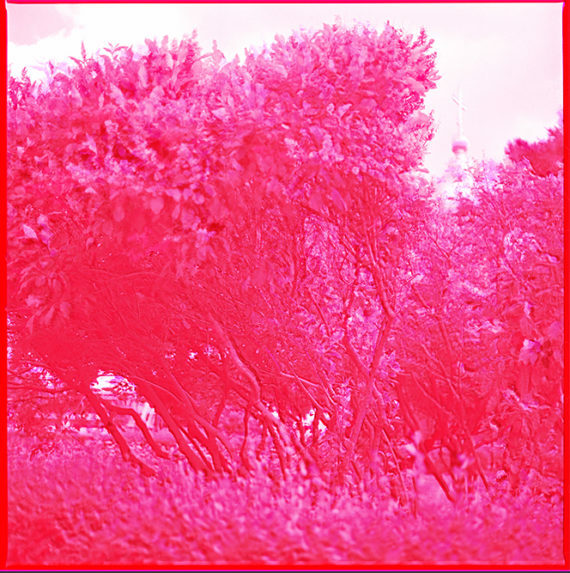 Whilst I work out how to reblog all my entries, please follow this weblink to my work Shards of Colour. Forthcoming exhibitions and publications will be posted here. Instead, I’m in search of those wonderful lilacs captured by Gorskii a decade before the dramatic events of 1917. The botanical name is syringa vulgaris, but they’re known here as ‘Krasavitsa Moskovy’ (Beauty of Moscow). This was the best lilac bush I could find. Had I been a few weeks later, the flowers would have been in full bloom. Compositionally, I’m pleased with how this one has turned out. It was windy, and you can see the movement of the leaves in the foreground. Today I continue in search of Gorksii’s St Petersburg. It is also my first day shooting. 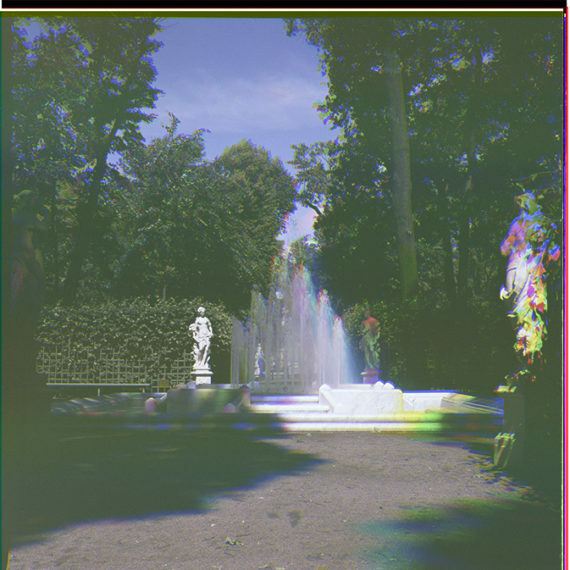 To test my methods, I set out to The Summer Garden, a place steeped in late-imperial Russian history: it was here, in 1866, that an assassination attempt was made on Tsar Alexander II. A quarter of a century earlier, Pushkin had chosen the garden for Evgenii Onegin’s childhood walks. Nearly two centuries on, the place feels like the ideal spot to test out my equipment. There is an abundance of light and the hedge rows provide a good degree of privacy. After a short while, I am asked to move on by a couple of guards – it seems using a tripod in the gardens is not permitted. I manage to get one image, however. Here it is (processed August 2016). Arrived in the Motherland today. My research begins in St Petersburg, where I will be retracing the sites of some of Gorskii’s Petrograd images. 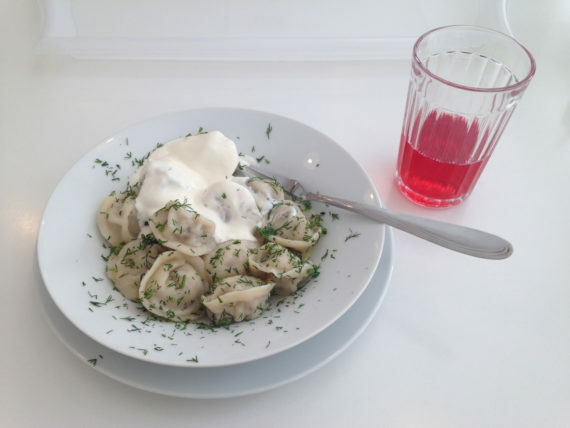 To acclimatise, I’ve ordered the classic pelmeni and mors. The magenta drink seemed appropriate. Many of the techniques used by both Maxwell and Gorskii are no longer available to us. 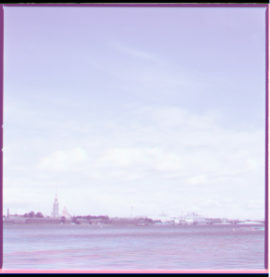 According to the archives at the Library of Congress, Washington D.C (where Gorskii’s work is held), there is no known replica or illustration of the camera that Gorskii used. It is thought that it was similar to a model designed around 1906 by Dr. Adolf Miethe. 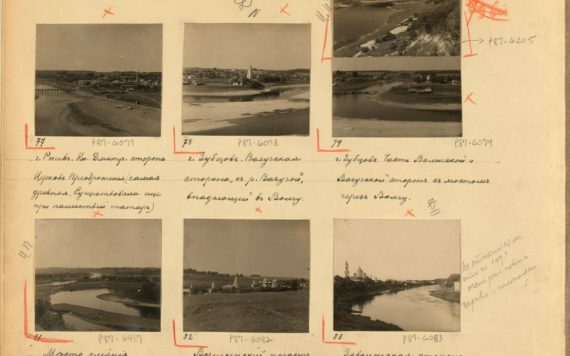 The images below are from the Library of Congress web resource: ‘The Prokudin-Gorskii Photographic Record Recreated: The Empire That Was Russia. See more here. With the generous assistance from Calvert 22 Gallery in London and the curator of Close and Far: Russian Photography Now, Kate Bush, I have been pointed to a source that states that Gorskii had visited Miethe and studied under him for six weeks in 1902. Bush notes that at that time, Miethe was the most advanced practitioner of 3-colour photography.